Veteran Oxford musicians will be coming together on Friday, April 4 at Proud Larry’s for a good cause (and to play some good music). The show, titled “The Music of Stevie Wonder,” will be starting at 10 pm, directly after event organizer and piano player Bill Perry, Jr. finishes his set at Soulshine Pizza. The proceeds from the night will all go to benefit Piano Discoveries Summer Camp, part of University of Mississippi’s Outreach office. This program is aimed at students in grades 7–12 and is designed to “encourage and challenge piano students in a wide range of musical activities while leaving time for some fun recreational ventures.” Learn more about Piano Discoveries and find registration forms online at www.outreach.olemiss.edu/youth/piano/. Perry, who says he was initially inspired by tribute shows put on previously at Proud Larry’s, has wanted to organize a show like this for a while. His Mother Universe and All Her Children show, held at Larry’s a few months ago, also benefited Piano Discoveries, but he wanted to do a tribute to Stevie Wonder. When I asked Perry why he chose Wonder as his focus he said, “Stevie just stands out.” He went on to explain, “Growing up, Stevie was a big part of music in my household.” In Perry’s opinion, he grew up listening to Wonder’s best period of music. 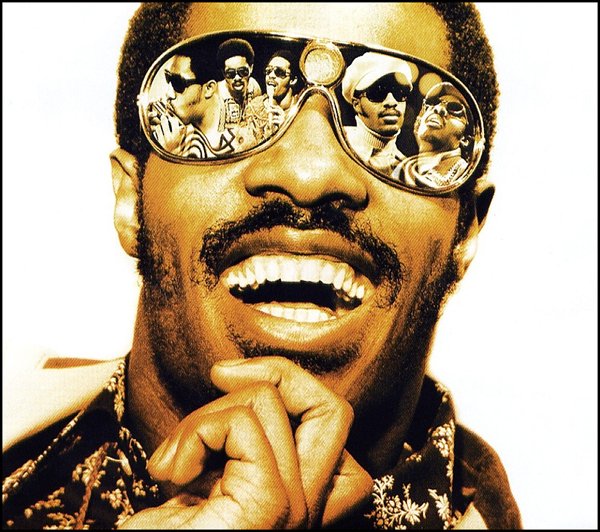 He said that Stevie, along with Al Green and Marvin Gaye, were like his mom’s “holy trinity” of musicians when he was growing up. Participating musicians include Erika Lipe (of Tequila Mockingbird), Nate Robbins holding down the bass line, Aaron Hall, Patrick McClary, Josh McDowell (who will be playing drums most of the night), Jeff Callaway and Charles Washington on horns, Damein Wash (who will perform “Living for the City” and “Ribbon in the Sky”), and Nick Spiller. Also involved in this event are Bill’s sister and father, Shy (Sharo) Perry and Bill “Howl-N-Madd” Perry. Howl-N-Madd has promised to do a rendition of “Superstitious.” When I asked Bill if we would get to see him on stage with his family he seemed sure it would happen at some point. He explained that though the musicians involved have (for the most part) chosen which songs they’ll be performing, he expects that the other musicians involved will join in as they see fit. For instance, as many times as I’ve heard Charles Washington play “Superstitious,” I’d be surprised if he failed to jump on stage to play it with Howl-N-Madd and Shy Perry. This article was originally printed in The Local Voice #201 (published April 3, 2014). To download a PDF of this issue, CLICK HERE.